I founded Betterez in 2011 with a vision to modernize the ground travel industry by creating the most flexible ticketing and reservation platform in the world. Since we launched, our company has grown to nearly 50 employees with customers located across Europe, North America and Latin America. We have built a diverse and inclusive team that has shaped the foundation of our company and culture from our very core. I want everyone to feel they have a sense of autonomy and purpose when they come to work as it’s important that they are motivated to bring out the best in each other and perform at a consistently high level. This is why it’s important to maintain a positive work culture. Recently, I brought the team to my family’s cottage up north for a company retreat. The whole experience brought us closer together. We shared ideas, held brainstorms and ran several workshops covering various aspects of the business from branding to strategy. This drove a new vision and approach for Betterez as we are now moving into another rapid growth phase which can be very demanding. I value the opinions of our employees and it’s important that they contribute to shaping the culture and business of the company. Because of our size, we’re able to do things like this and the payoff is unmatchable. Every day you can feel the energy and excitement radiating from the team when launching new products or signing new customers. We take pride in our startup mentality, where any employee can see their good idea through to fruition. While every day may not be sunshine and rainbows, we ride the highs and lows together as a team. One of the things I love most about Betterez is our culture of learning – it is constant and we are continuously evolving. We’re vested in each other’s learning as well – what’s good for one person is good for the team and that’s how we operate in everything we do. Through this, we’re also able to regularly share knowledge, which in turn helps educate our customers and improves their ability to grow their businesses. I’m extremely proud of where we’ve come – being recognized as a Top Travel Startup to Watch in 2018 and signing several new customers in just the last few weeks, for example – but my team knows we have big aspirations for this company and we’re not stopping there. There is so much opportunity in our industry and I’m lucky to have my incredible team join me for what will be an exciting ride as we drive the future of ground travel. At Betterez, Tal is responsible for the company’s strategic and product direction while overseeing the contribution of Betterez to the success of our customers, partners and employees. After a successful career in the airline and technology industries, Tal co-founded Betterez in 2011 with the mission of building a better reservations platform from the ground up, utilizing true multitenant architecture and the latest cloud technologies. 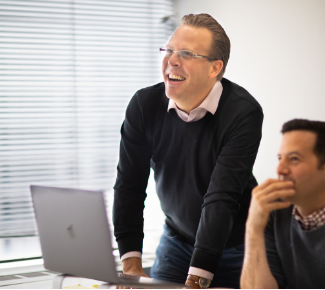 Prior to founding Betterez, Tal served as Vice President, IT, at Porter Airlines, Canada’s 3rd largest scheduled airline, and was with Deloitte Consulting’s CRM practice where he worked on large scale customer experience and integration projects.